I think it’s finally time to announce that I’m writing a new book! No finish or release date yet. Just wanted to let you know a new book is in the pipeline! 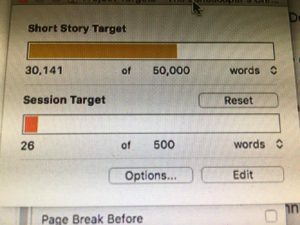 And that word count of 50,000? That’s a stretch goal for me. I usually write novellas, but this one could be novel length. 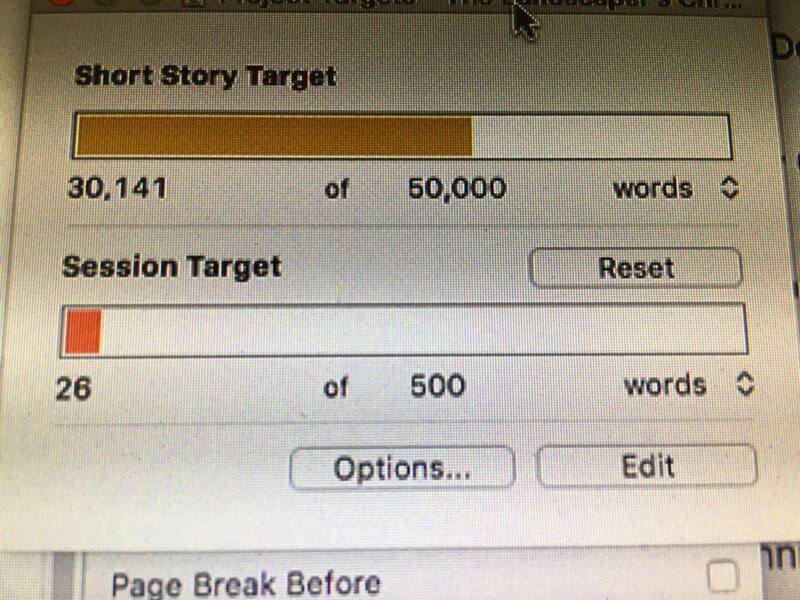 This word count window says “short story”, but that’s just my favorite template in Scrivener, I can make it any length. Feels good to write again.